One of the ways you can attract the right set of clientele is through your professionally branded website. For consulting agencies and companies especially, getting clients to work with them can be a challenging feat. 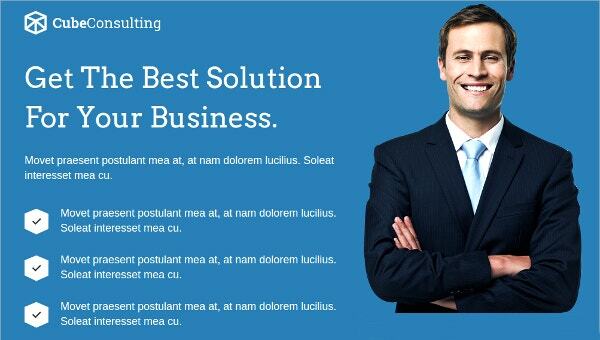 The Consulting firm’s reputation, image and branding should be solid and remarkable. The same goes for their website. The landing page is of utmost importance because it is the first thing potential clients will encounter when they visit your consulting website. Your landing page has to make a lasting and compelling impression to have clients lining up to hire you. We’ve listed the best consulting landing page templates to date right here, and you shouldn’t miss out! A clean and modern template, this Cube Consulting landing page has high customization with a Drag and Drop Builder to make it easy for you to edit and add in design elements that can best bring out the essence of your agency or company. It’s also fully responsive to make your website compatible for both mobile and desktop use. Ensure exposure and accessibility with this SEO landing page template. Ideal for the rookies in the consulting industry, this template provides simple and user-friendly layouts to ease your way into the designing process without any coding expertise required. Modern and sharp—a must-have design for any consulting agency. With this template, you get a variety of landing page templates to choose from, with free font icons and Google fonts to better present your content. 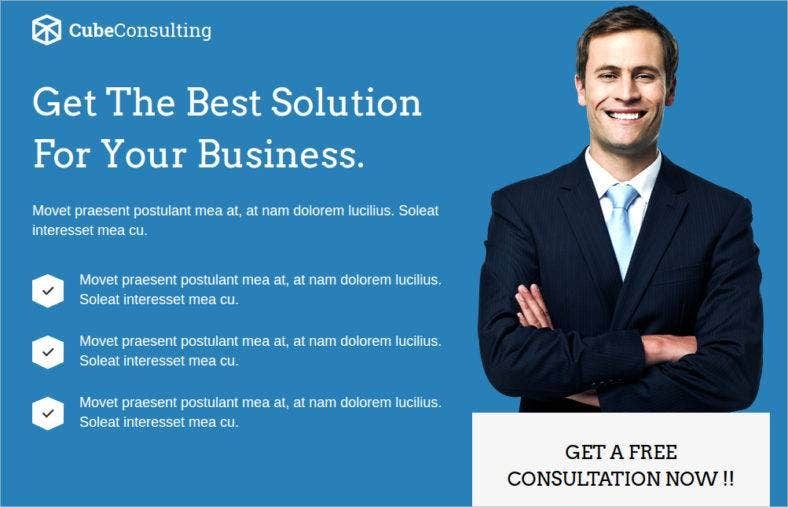 Have your consulting landing page template fully responsive and cross-browser compatible with this business consulting theme. Create a visually stimulating and powerful look with a Parallax effect to have clients enticed and entertained. Make your online presence striking and distinguishable with this Ola theme for your Consulting landing page. It’s packed with a real-time customizer, multiple widget positions, and is complete with blog, 404, and offline pages. Get all this and more by installing this professionally supported template. Make a good lasting impression with these landing page templates for your consulting agency or company. You can customize these template to fully optimize your site and present your brand the best way you can. 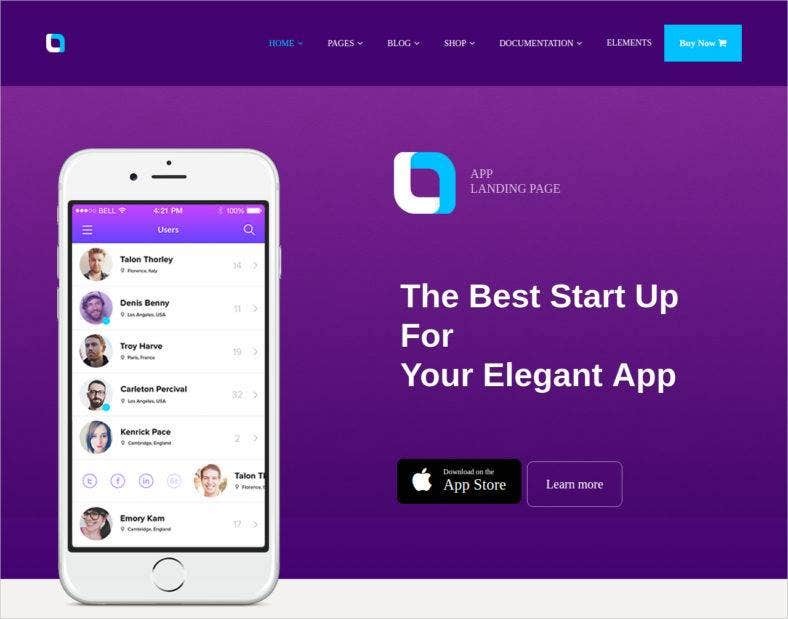 Grab landing page templates for free or upgrade to premium to get an all-around quality website-designing experience.